Setup a web-based configuration tool. I lived through the command-line era of MS DOS in the 80s and 90s but like most people, have long gotten used to the point-and-click interface. This will help me get productive again. 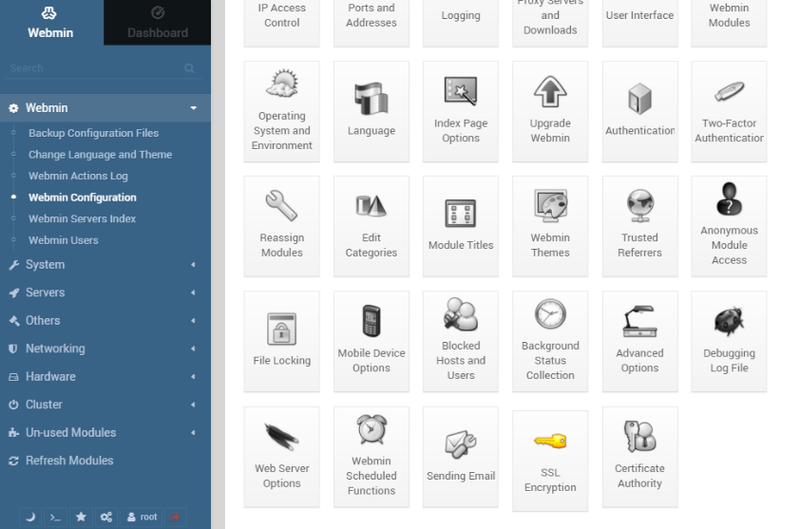 Webmin is free and received a nice face-lift recently. Give my VM its own domain name - GoDaddy sells them cheap for the first year. In nano or your editor of choice, go right to the end of your sources.list file to include Webmin's repository. Save and exit. Webmin listens on port 10000. Edit your firewall rules in Google Console to accept connections from port 10000. Now login. Your ID is root and your password is what you just set. Let's Encrypt, in their own words, is a free, automated, and open certificate Authority. You can receive a free cert here. At this point, you should still be logged in to your server through SSH. Make sure that the A record of your domain name's DNS points to the IP address of your server. Let's Encrypt do not issue certs for IP addresses. Make sure that you have completed this before going on to the next step. Follow the instructions on-screen to receive a free cert. 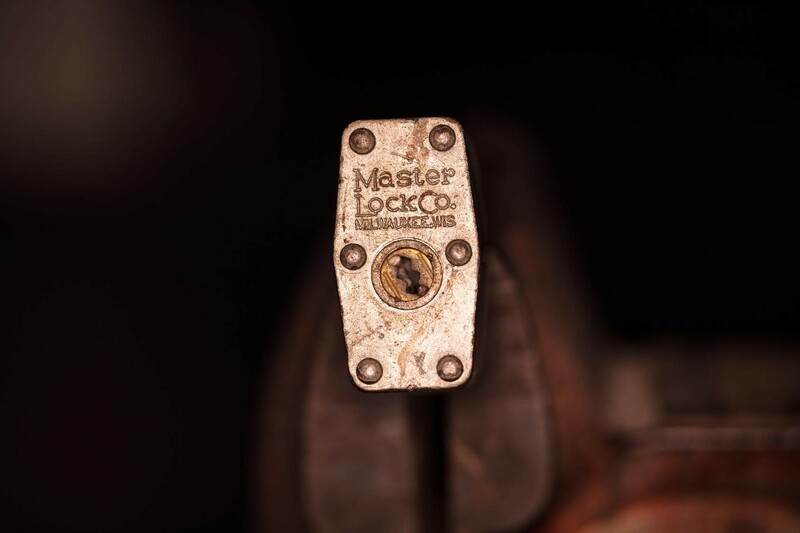 Click SSL Encryption. Then go to Let's Encrypt. 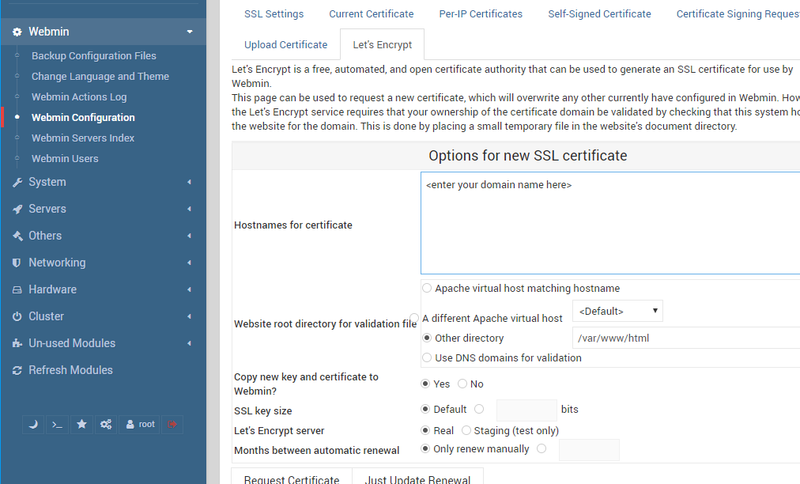 Add your domain name into the "Hostnames for certificate" box. Then click [Request Certificate]. Now go to https://<your domain name>:10000. Webmin is now accessible securely by typing your domain name into the browser. Now I can sleep well at night.